The TOF.SIMS 300 is especially designed for the demands of the semiconductor industry. Its applications include trace metal detection with detection limits down to 108 atoms/cm2, detection of organic surface contaminants, high performance profiling of implants and characterisation of sub-micrometer structures and defects. In addition to the TOF.SIMS 5 flexibility, performance and stability, it offers a full 300 mm wafer handling capability. 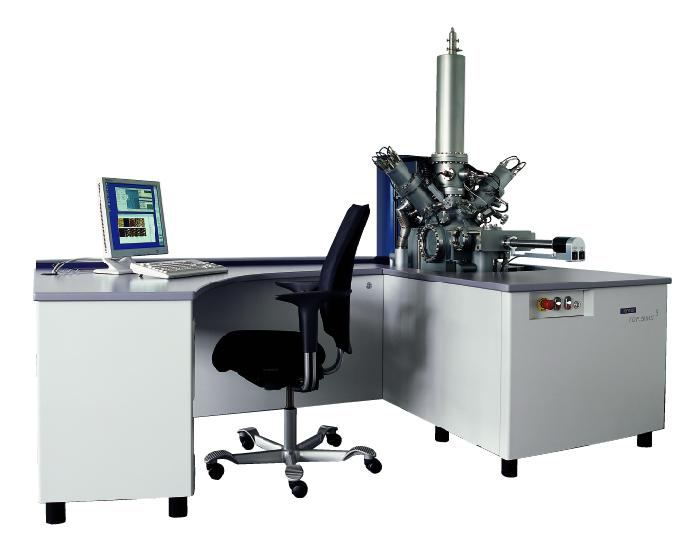 The instrument is fully computer controlled to ensure ease-of-operation, high sample throughput and a high level of automation. The TOF.SIMS 300 also provides excellent sample observation and navigation features. Two video cameras for real-time sample viewing, ion induced secondary electron imaging and sophisticated navigation software supply all information necessary for precise sample positioning. The software complies with the data standard of all defect review tools.